If you're preparing for Thanksgiving, check out my daughter Abby's web page for some FREE printable Thanksgiving activities for children, including color-by-numbers, copy-the-pictures, find the correct path worksheets, and regular coloring pages. This book costs $3.95 at Currclick. But, the first link goes to free activities. I received this story in an email and thought it was very encouraging and heart-warming! True story. I asked Scott for his permission to post it online. I am just NOW ... today reading this email from about one year ago. I know terrible, but late than never, right. Anyway, I wanted to write you and tell you that like Cameron, I had more than half of my brain removed in 1978. I had brain surgery for an AVM, arterial venus malformation. I had three surgeries total and nearly died. The doctors told my parents that if I lived I would be a vegetable. However, I defied them. 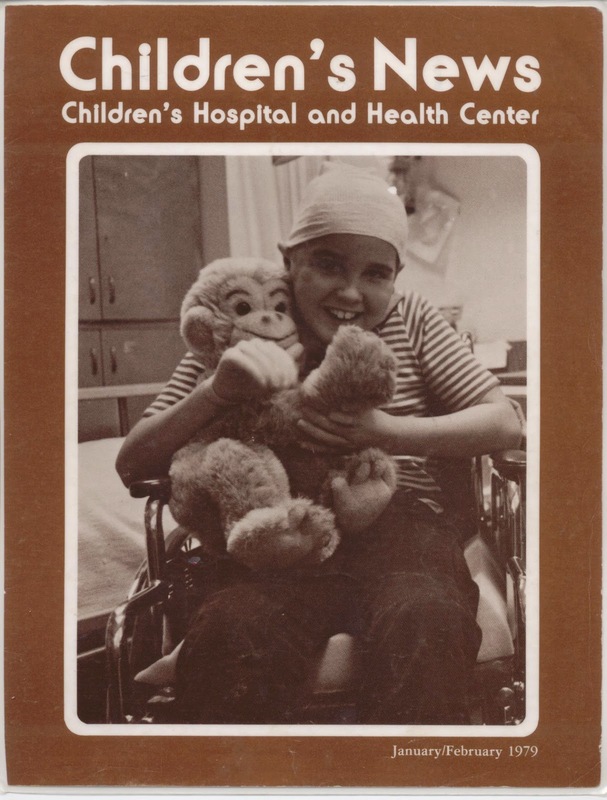 I made it to the cover of the Children's Hospital of Sand Diego's December/January 1978/1979​ magazine. They called me the "Miracle Boy". Anyhow, I just thought I'd share. Will there be Math Mammoth Algebra 1? I've had several people ask me if I'm planning to write algebra 1, algebra 2 and other high school math courses. The answer is no. I'm planning to stop at pre-algebra. The main reason is, I've seen some fantastic high school math books other people have written -- people with lots of teaching experience etc. -- and I feel I could not surpass what those people have done. Especially when I don't have lots of experience teaching high school math to students. My traditional Thanksgiving sale has started: you can get 25% off of all Math Mammoth & Make It Real Learning downloads & CDs at Kagi. Use the coupon code THANKSGIVING. The sale starts TODAY and runs till Monday, December 1, 2014. You can go to www.MathMammoth.com first, then find the links to Kagi's order pages there. Three new books in the Blue Series! These books deal with some pre-algebra level topics. Check out their free samples! This is a worktext covering the order of operations, equations, expressions, and simplifying expressions in several different ways in 6th-7th grade level. The main principles are explained and practiced both with visual models and in abstract form, and the lessons contain varying practice problems that approach the concepts from various angles. We also touch on inequalities and graphing on a very introductory level. In order to make the learning of these concepts easier, the expressions and equations in this book do not involve negative numbers (as they typically do when studied in pre-algebra and algebra). Group buy for Math Mammoth bundles - only TODAY! Homeschool Buyers Co-op is running a GROUP BUY for large Math Mammoth bundles at 40% discount – but just for today, November 3, 2014. So hurry! It's only for ONE day!